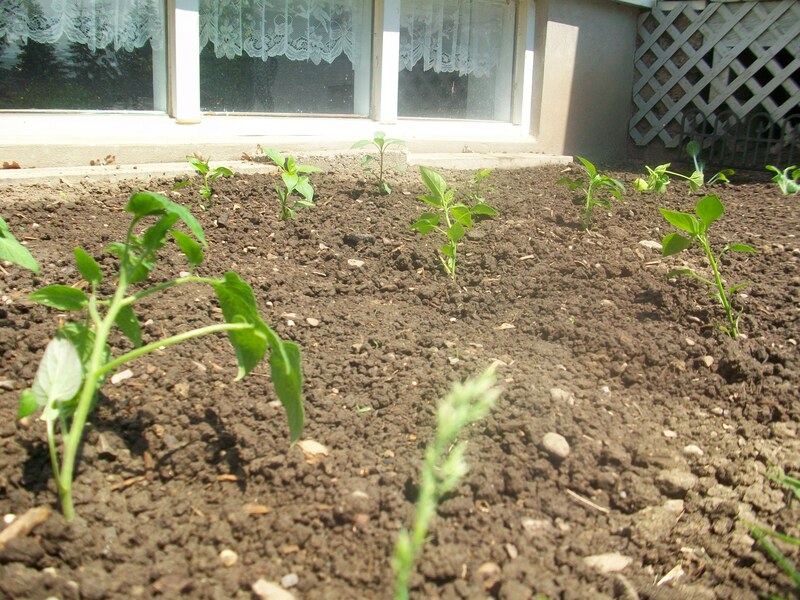 Summer time is our favourite season, and not just because of the warm weather, refreshing pool, bbq’s, beaches, extra friend and family time and gorgeous sunshine. 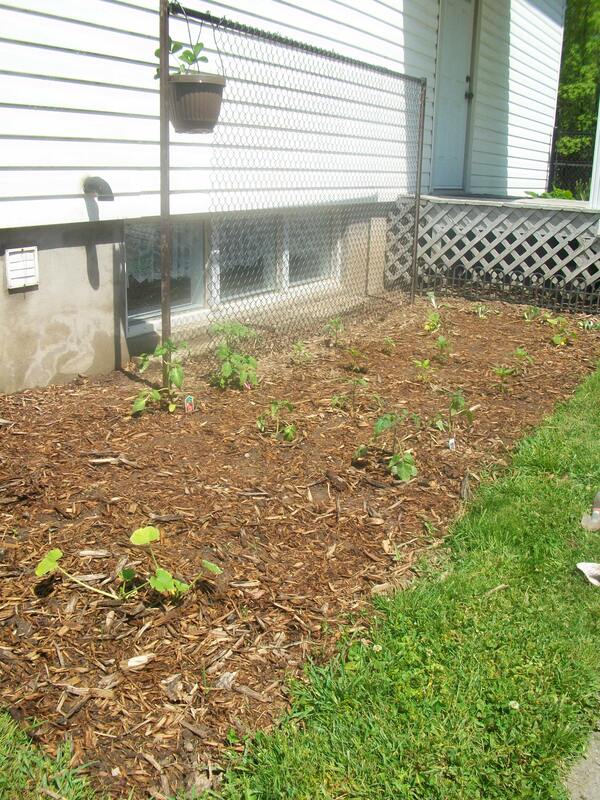 We love summer because that’s when we get to grow our vegetable garden! 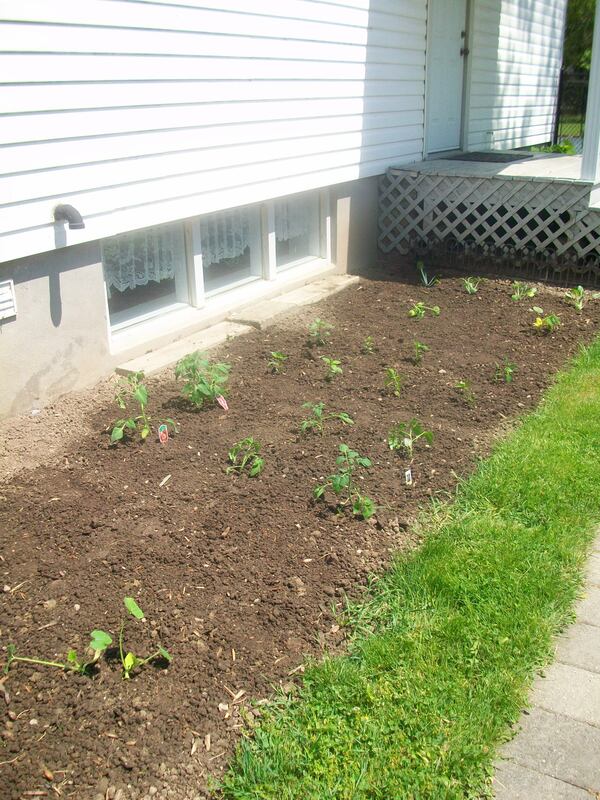 We had been talking about growing our own garden for quite some time, and so finally two summers ago we dug out the flower garden right below our kitchen window (not an easy task – our upper bodies were sore for days! 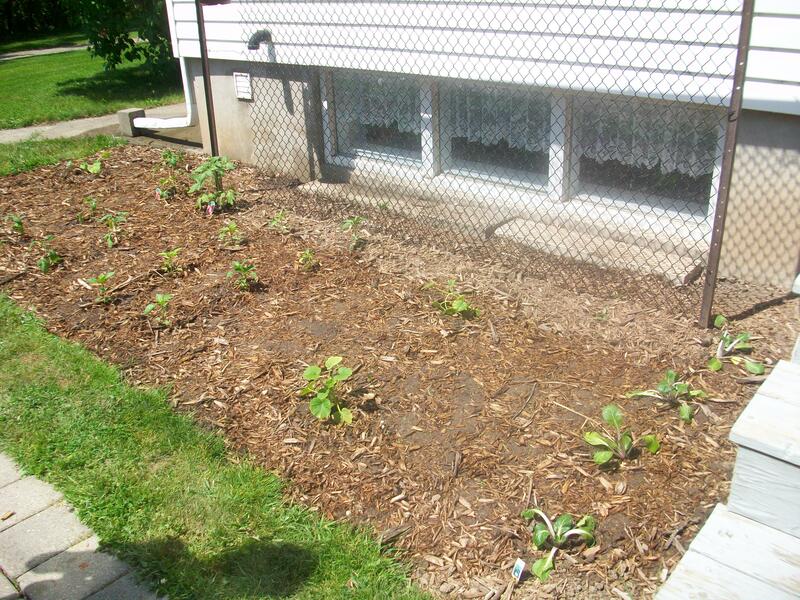 ), put in some fresh soil and went to Cole’s. 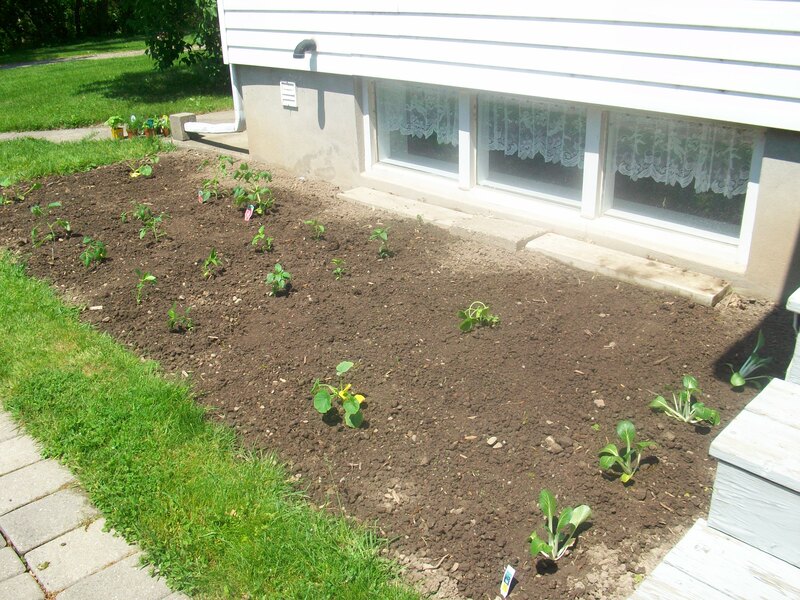 This year, we are growing green zucchini, a few varieties of tomatoes, red and yellow peppers, buttercup squash, and pak choi (like bok choi, but better suited to our soil and climate). 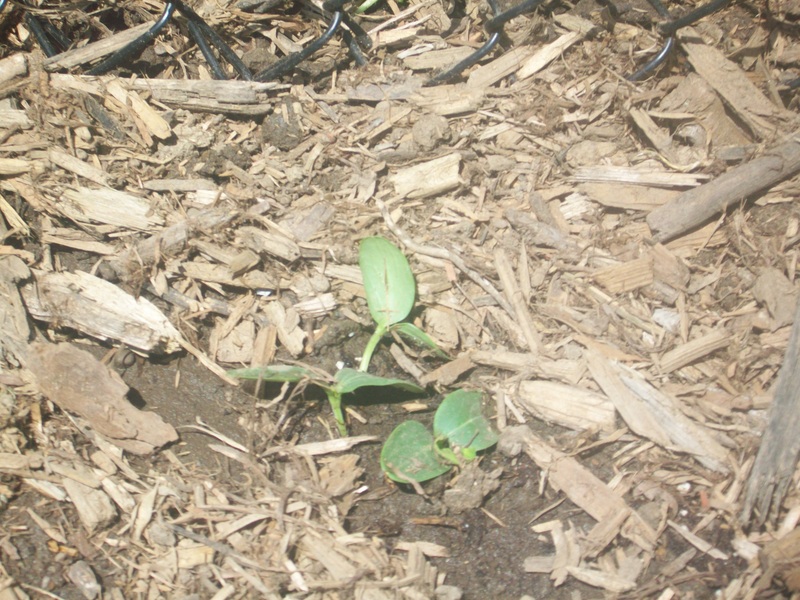 Our dad installed an old, unused section of fence in the back of the garden, and along both sides we planted green shell peas and english cucumber. 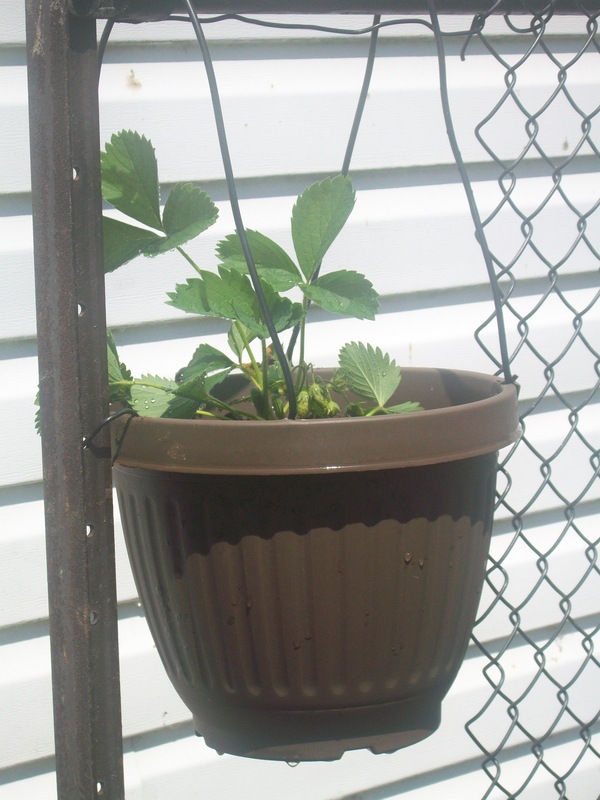 He also made is a hanging basket that hangs off of one side of the fence in which we are growing strawberries! 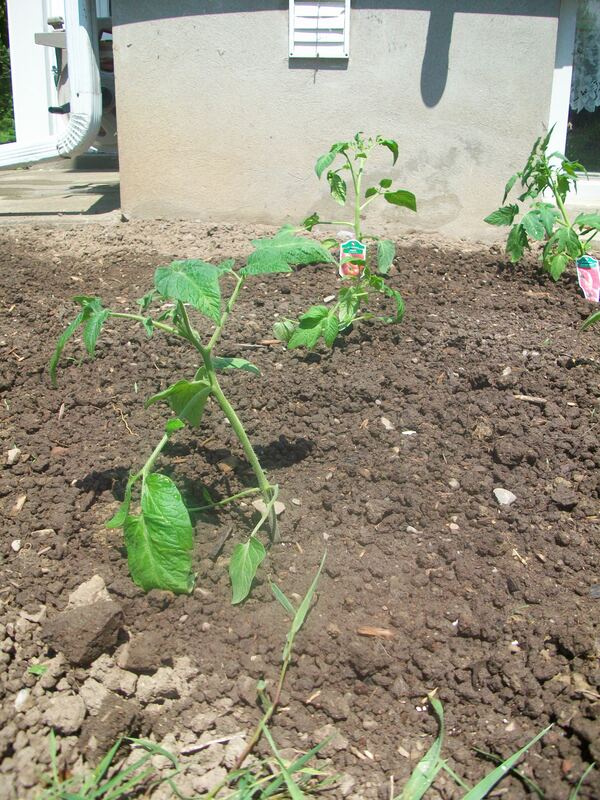 What experiences have you had with your garden?